If you’re interested in testing our speed&reflex machines, visit SAM Leisure booth no. P412 in hall 1 at the LIW 2014 (Leisure Industry Week). The show takes place at the National Exhibition Centre (NEC) Birmingham between 30th September and 2nd October. LIW is the UK’s largest leisure show covering health & fitness, to food & drink, wellbeing and the latest in family entertainment. 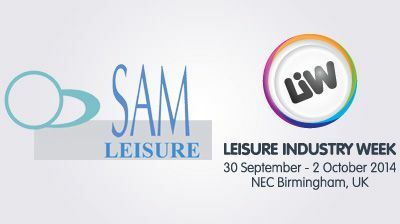 LIW 2014 is the perfect forum for leisure professionals to do business with leading suppliers, and gain insightful business tips from industry figure heads. Visiting LIW will give you the spark of inspiration you need to keep ahead of the game.